Mark Hassinger has over 30 years of real estate development and management experience. Mark launched Hassinger Real Estate Development Services and Hassinger/Armm Associates in January 2017 to provide a broad array of commercial real estate consulting services. Prior to that he was President of WestDulles Properties, Inc. where he was responsible for the firm’s development activities in the Northern Virginia area of Metropolitan Washington DC for 13 years. Prior to that Mr. Hassinger was a Development Director for Lerner Enterprises and from 1983 to 1993 was the Director of Development for Lee Sammis Associates. He was instrumental in setting the standards for its developments, which earned a reputation for design excellence within the real estate community. Mr. Hassinger's expertise includes development management; land search and acquisitions; and marketing, with a concentration in commercial real estate projects. He has extensive experience in the land use entitlement process of local jurisdictions throughout the Washington, D.C. metropolitan area. 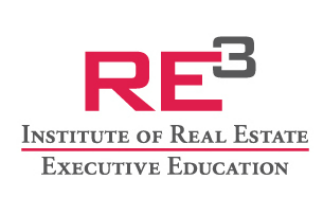 Mr. Hassinger was instrumental in the launch of the new Graduate Real Estate Program at George Mason University's Center for Real Estate Entrepreneurship. Mark has been the moderator for numerous Urban Land Institute real estate workshops and seminars and has also been a member of the Practitioner Faculty of The Johns Hopkins University Master of Science in Real Estate program. He holds a master's degree in Community Planning from the University of Rhode Island and has done further graduate work in financial management at George Washington University. Mr. Hassinger is currently a member of the Executive Committee of the Board of Directors and is the immediate past Chairman of NAIOP Northern Virginia. 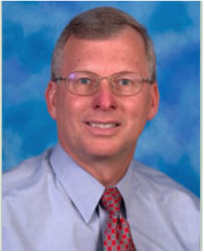 He has served on several citizen advisory master plan committees for local Washington area jurisdictions and the Loudoun County Economic Development Advisory Commission.